Credit: Wikipedia/Andreas Tille licensed under under the Creative Commons Attribution-Share Alike 3.0 Unported, 2.5 Generic, 2.0 Generic and 1.0 Generic license. Chile is well known as a volcanic country with a huge variety of pristine and extreme environments. Chilean extreme environments, such as deserts (the Atacama Desert, the driest place in the globe), extensive steppe-like plains (Patagonia), high altitudes (Andes Mountains and Altiplano) and polar area (Antarctic), can harbor a wide variety of diverse organisms (insects, plants, microorganisms, etc.). 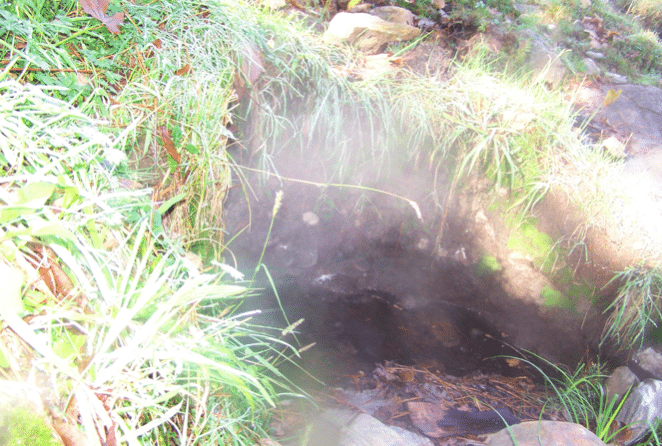 The autochthonous organisms of extreme environments, also known as “Extremophiles,” have adapted to survive and proliferate under local hash conditions. Despite that Extremophiles have scarcely been studied so far, the international scientific community recognizes them as an unexplored source of novel bioactive compounds (antimicrobials, anticancerigen, pigments, etc.) with a great biotechnological potential in diverse areas, such as medicine, pharmaceutical industry, food industry, cosmetic industry, environmental sciences, agriculture, etc. During last decade, The Applied Microbial Ecology Laboratory (EMAlab) from Universidad de La Frontera (Chile), directed by Dr. Milko A. Jorquera, has explored the role of native bacterial communities in nutrient cycling in nature as well as their genetic and biochemical potential for biotechnological applications, mainly agriculture. In Chilean extreme environments, studies done by EMAlab have demonstrated the occurrence of bacterial communities with genes and enzymatic activities involved in organic phosphorus (Po) cycling, such as phosphomonoesterases and phytases. Phytases [myo-inositol(1,2,3,4,5,6)hexakisphosphate phosphohydrolases] are enzymes widely used in the animal food industry to improve phytate utilization, which is the major Po storage in nature and considered as an anti-nutrient in human and mammals. However, the major limitation for phytase application in food processing is their low thermal tolerance of all the phytases characterized so far. 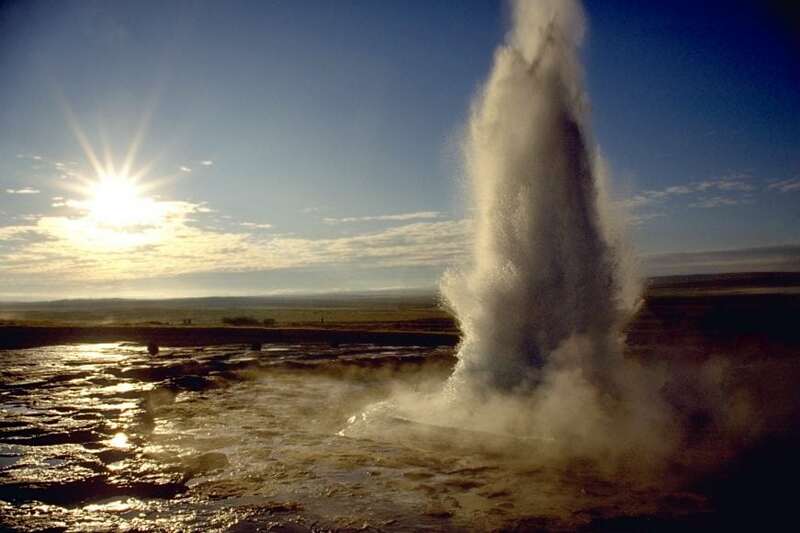 Therefore, Extremophiles, both thermophiles (growth at 50-80ºC) and hyperthermophiles (growth at 80-113ºC), seem to be a reliable source for the search for thermotolerant phytases in nature. 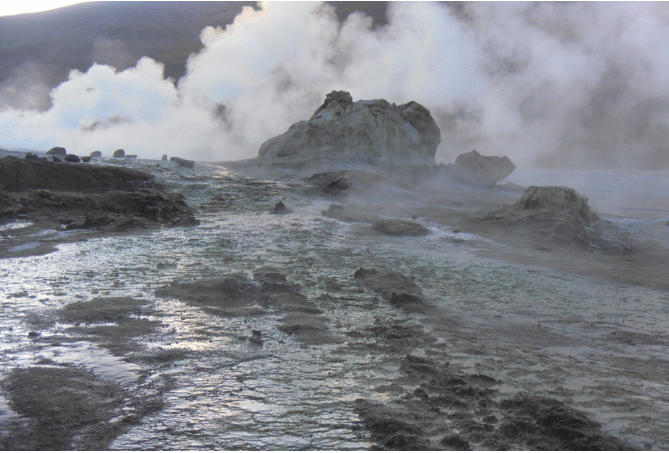 Hydrothermal environments located in Chilean extreme environments, such as “Tatio” geyser fields in the Atacama Desert and “La Araucania” hot springs in the Andes Mountains are very attractive pristine ecosystems for tourist, but their native microbial communities as a source of novel bioactive compounds have scarcely been explored, especially in phytase research. In this context, EMAlab has intensively collaborated with Dr. Ralf Greiner from Federal Research Institute of Nutrition and Food Max Rubner–Institut (Germany) during last decade. Since 1993, Dr. Greiner and his group have focused their studies on the purification and characterization of phytases and their application in the enzymatic reduction of phytate in plant-based food in order to reduce mineral malnutrition in vulnerable groups, such as child-bearing women, strict vegetarians, and inhabitants of developing countries. As result of our collaborative work, we have recently screened and characterized bacterial phytases from Chilean hydrothermal environments (geyser and hot spring). Our results have shown that 60% of thermophilic (60ºC) isolates exhibited phytase activity in crude protein extracts. The characterization of the phytase from two selected isolates (identified as Bacillus sp. 9B and Geobacillus sp. 15C) has revealed that both isolates produce phytases with a pH optimum at 5.0 and temperature optimum between 60°C and 50°C. One phytase also showed a residual activity of 46% after incubation at 90ºC for 20 minutes. Thus, our study demonstrates that Chilean hydrothermal environments represent an unexplored source for thermostable microbial phytases for biotechnological applications, for example, in food processing. However, major efforts should be directed toward purification, characterization, and expression of novel thermotolerant phytases. These findings are described in the article entitled “Screening and characterization of phytases from bacteria isolated from Chilean hydrothermal environments,” recently published in the journal Microbial Ecology. This work was conducted by Milko A. Jorquera, Nitza G. Inostroza, Jacquelinne J. Acuña, and Marco A. Campos from Universidad de La Frontera, and Stefanie Gabler, Daniel Menezes-Blackburn, and Ralf Greiner from the Federal Research Institute of Nutrition and Food Max Rubner–Institut. Milko has experience in research and management of research and development (R & D) projects in the disciplines of: soil microbiology, plant-microorganism interactions, microbial ecology and environmental microbiology, application of molecular biology techniques and bioinformatics programs in microbiology, oriented towards biotechnological development in agriculture and related areas. In addition, Milko has experience in human capital training through courses and supervision of pre and postgraduate theses. Ralf is the Head of the Department of Food Technology and Bioprocess Engineering at the Max Rubner-Institut, Karlsruhe, Germany.